Jersey girl . . that's why I posted the map link there's a scenic overlook on 19 between I-79 and Powell Mountain. Not entirely sure, but that area is either Braxton County or Nicholas County, and 19 is called "Mountaineer Expressway". Thanks, I don't know why I didn't see that before (the link). ..so what am I doing wrong?? Why don't my pictures show full size? 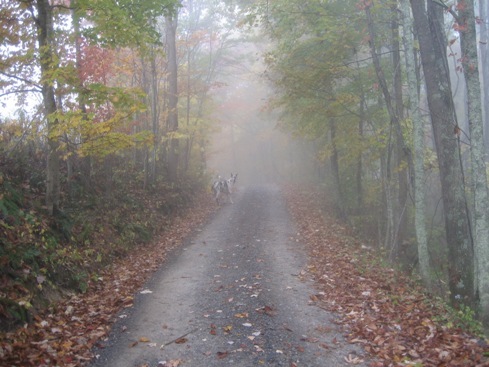 One of our Great Danes on a foggy Brooks mountain morning. Oct 08. Take out the spaces . .
...another test. Aerial of property. Do you drag-and-drop, or use the attachment manager? Here is a very unique picture taken in Huntington, WV Tuesday night. It's my dog Tyler, he was pet of the game! Technically, a Virginia scene . . about 15 minutes north from I-64 on 220, just across the border. West Virginia would be on the other side of that ridge. Falling Springs Creek joins with others to form the Jackson River, in turn, becoming the James River that flows into the Atlantic. Last edited by r601020; 11-21-2008 at 11:21 AM..